A main reason that Monmouth Beach is such an outstanding community is that residents believe they live in a community of safety and security. That comfort standard started over a century ago and continues today — thanks to borough law enforcement. 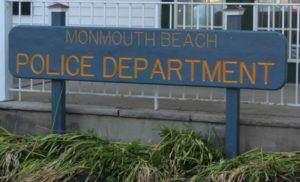 The origins of the Monmouth Beach Police Department date to April 1906 when the month old borough council appointed a police committee. The first borough police budget was $1,200. Members of that first committee were Borden West, John A. Maney, and Abram O. Johnson. For more than 40 years, the chairman of the police committee was considered the police chief. In fact, for most of the first half of the 20th century, the borough wasn’t protected by official police officers, but rather by “police marshals” (today’s borough cops are called “patrolmen”). Monmouth Beach didn’t have a titled “chief of police” until 1945 when Edward Sweeny was appointed to the post. The first marshals, appointed in June 1906, were John Burns and Charles Archer. They were paid $60 per month and worked 12-hour shifts from June 1 to October 31. The police committee appropriated a sum of $10 to pay for their revolvers and cartridges. The first MB police structure built in 1922. In April 1909, call boxes were installed in town and the council determined that one of the duties of the marshals would be to raise the American flag at the firehouse each day. The first discussion of town speed limits came up in 1912; signs were finally posted in 1927. The first time the borough bought police uniforms was in May 1914; the amount of $21.30 was paid to W. H. Woolley & Son in Long Branch. 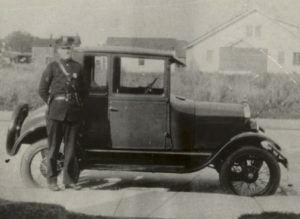 The borough’s first police vehicle was purchased in March 1921 — $87.50 for a Harley Davidson motorcycle. 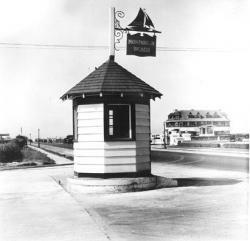 The first police building was a kiosk constructed at the intersection of Beach Road and Ocean Avenue, completed in the summer of 1922. It remained there until 1926 when it was moved to the Galilee section of town. By the 1930s, the structure had become the office for Sheridan’s Garage and later an outhouse for Pete’s Inn (now Boyle’s Tavern). Today, it stands refurbished on Beach Road on the Wells Fargo Bank property. The borough’s police department was officially created in February 1927. In April of that year, the police force purchased its first auto, a Ford Coupe, for $575. In 1931, the commissioners passed an ordinance prohibiting the use of all guns on all land in the borough (except for rodents and predatory birds or animals). In May 1945, George V. Maney, Nicholas F. Woolley, and Edward Sweeny were appointed “police officers” — it was the first time they were referred to in such a way in borough police records. All three men would go on to serve as town police chief. The borough’s first municipal court was established in April 1929. In October 1949, borough commissioners requested that a traffic light be installed at the intersection of Beach Road and Ocean Avenue — 27 years later it arrived. Another light at Ocean Avenue and Valentine Street was added in the summer of 1995. In June 1955, the MB School PTA asked for and got the first crossing guards. 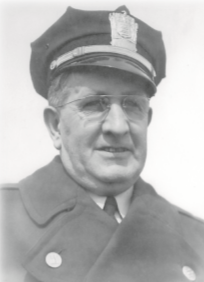 Richard L. Keller, the town’s longest serving chief, was the first officer to receive professional police training (today it’s mandatory). Prior to that, new officers were given a badge and gun, rode a couple of shifts with experienced officers, and then set off on their own. Up until 1964, the department had just four officers, with only one patrolling at any given time. Plectron units were added to police cars in 1971. These signaling devices allowed the patrolman to set off the town-wide alarm system without going directly to the firehouse. In 1973, the department finally added another patrol car. Prior to that, a loaner car had to be used when the police vehicle was in for repairs. Sometimes officers had to answer calls in their private autos. Also that year, the MBPD installed its first telephone switchboard, allowing residents to contact the police directly. For many decades the police department was housed in the borough hall where they quickly outgrew a large renovation in 1977. Today, a professionally trained police force operates in a 2,000-square-foot modern facility on Willow Avenue. Opened in October 1990, the $140,000 construction project was funded by Jay W. Ross, the borough’s leading philanthropist. The annual budget for the police department today nears $1.5 million. 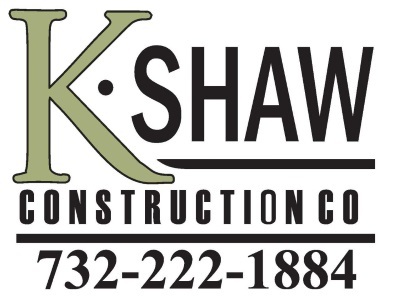 The agency presently consists of 10 full-time sworn officers, eight seasonal police officers, a civilian staff, and oversees the school crossing guard staff. • Harry Lane, Jr., the borough’s municipal court judge for over 20 years, was made a U.S. magistrate in 1972. Judge Lane also got the first new penthouse at the Channel Club Tower when it opened in 1973. He died in 1975. Monmouth Beach has had its share of top judicial talent. Borough residents at one time or another, Francis X. Crahay, Patrick J. McGann, Jr., Michael A. Guadagno, and Honora O’Brien Kilgallen, served on the bench in Monmouth County as NJ Superior Court Judges. • Mercer Beasley, the Chief Justice of the NJ Supreme Court for 33 years beginning in 1864, had a summer home in Monmouth Beach. He died in February 1897. • Noah and Sarah Ann Swayne bought a house in Monmouth Beach for $3,000 from Jay Gould in 1878. Swayne, the only Quaker and first Republican to serve on the US Supreme Court, was appointed by President Lincoln in 1862. The Ohio lawyer served for nearly 20 years. • Harlan Fiske Stone, a 20th century giant of American Constitutional law, has a Monmouth Beach connection. His grandson, Harlan Fiske Stone, II, is a borough resident. The senior Stone reached the pinnacle of American jurisprudence in 1941 when he was appointed to the lofty position of Chief Justice of the US Supreme Court by President Franklin Roosevelt. So pleased to find the picture of MB Police Chief Charles Edward Sweeney on this site! He was my grandfather.